Lydia became interested in training when her first dog, Lizzy bit the trainer she hired to set her up for success on Lizzy's first day in her new home. The trainer recommended another trainer who specialized in aggression. That trainer recommended euthanasia. Lydia went on a mission to train her dog. She read every dog training book she could find and hired several trainers. Lizzy is now 16 years old and has never bitten anyone since that very first trainer. Six months after adopting Lizzy, Lydia and a friend co-founded NYC Dog & Cat Rescue group, A CAUSE FOR PAWS. Lydia became fascinated with dog behavior and figuring out how to prevent dogs from losing their homes due to unwanted behavior. Realizing she had a knack for canine behavior modification, Lydia enrolled in a 2 year Apprenticeship program with a well established Training group, Who's Walking Who. The program exposed her to hundreds of dogs from different breeds and backgrounds honing her skills as a handler and trainer. During her time at Who's Walking Who, she created a training and scholarship program open to volunteers and adoptable dogs of all Mayor's Alliance for NYC participating rescue groups. She traveled to Manhattan Animal Care and Control to evaluate dogs and choose the dogs who were most likely to thrive in a New York home environment. She often returned from MACC with a foster dog whom she would train and place. In 2004, Lydia established her own business offering both individual and group training for her clientele. Lydia treats every dog as an individual and designs a program that helps each dog and its Guardian meet their goals and needs through dog friendly methods. 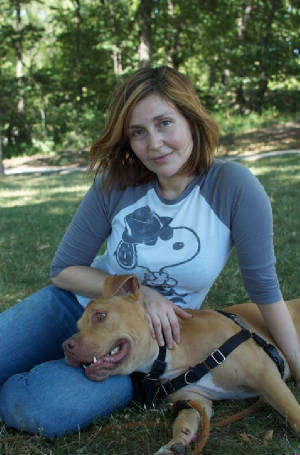 In addition to her private clientele, Lydia designed and implemented a teen dog training course for MACC's at-risk youth program. She was thrilled when she was invited to teach the teen dog training program at Animal Haven Shelter. When Animal Haven's Queen's location closed Lydia connected with The Global Learning Collaborative to develop a teen dog training internship. As Captain of the NYC All-Star Performance Dog Team sponsored by Do More With Your Dog, Mom to four dogs, and small business owner Lydia is never bored. Sixteen year old Lizzy and 15 year old Blue still look forward to trick training time every day. Blue is currently the understudy to Candy's Dog in the Broadway Play "Of Mice and Men." Four year old Parkour Dog Red is the first pit bull to earn the Champion Trick Dog title and 2 year old Jack Russell Terrier Grace is an Advanced Trick Dog currently working toward her Expert Trick Dog title. Despite her busy schedule Lydia makes it her business to stay on top of industry research and trends. A few years ago she discovered Behavior Adjustment Training by Grisha Stewart. Lydia found BAT to be incredibly useful not only with "reactive" dogs but with every dog. 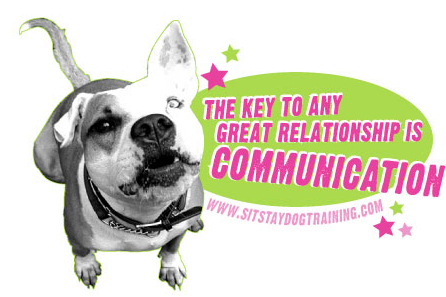 She is excited to be attending the 5 day BAT instructor workshop in June 2014. Lydia has appeared on Good Day NY, Fox 5, & WNBC promoting adoption, giving agility demonstrations with rescue dogs and has been featured in The Daily News, Time Out NY, and Daily Candy to name a few. Lydia is currently training the dogs (including her dog Blue)in the Broadway play "Of Mice and Men" starring James Franco and Chris O'Dowd. She can be seen daily walking through Central Park with her own dogs, Lizzy, Blue, Grace, and Mr. Red.